France came back from one goal down to defeat England 2-1 in last night’s Under 20 friendly match. The Three Lions got off to a positive start as Watford striker, Marvin Sordell, side-footed effort found the net after only eleven minutes. France had fielded eight players who won last year’s Under 19 Championship in Normandy, so it was always going to be a tough test for Brian Eastick’s side. Despite this, England were looking the brighter in the opening stages. In addition to the goal, Blackpool’s Matt Phillips came close by shooting just over the bar from inches outside the box. He then continued to cause more panic in the French defence as a surging run down the left wing almost created a golden opportunity. 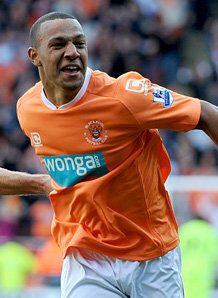 Phillips did all the work but was unable to capitalize on a one-two with Hull City’s Cameron Stewart. After some strong England chances, France replied. A superb 20-yard strike from Clement Grenier, who plays his club football at Lyon, saw the French draw level. A neat one-two with Griezmann on the edge of the box set-up the wonderful goal. After the restart, England were very unfortunate and it was another Lyon player who grabbed the goal. Alexandre Lacazette came off the bench and was celebrating 64 minutes into the game to send his country home victorious. A powerful right-footed effort cannoned against Coventry City’s Nathan Cameron just inside the penalty area and therefore sent Kean in the England goal the wrong way. Mavinga and Tafer came close towards the end but just couldn’t find another way past Kean in the England goal. As the Under 20s countdown to this summer’s Under 20 World Cup, their will be plenty of positives from the game for Brian Eastick’s side. England1. Jake Kean (13. James Severn, 82mins), 2. Reece Brown, 3. Jordan Clarke, 4. Jordan Mutch, (14. James Wallace, 82mins), 5. Reece Wabara, 6. Nathan Cameron, 7. Matt Phillips, 8. Dean Parrett (Capt), 9. Marvin Sordell (12. Adam Smith, 62mins), 10. Cameron Stewart (16. Jason Lowe, 46mins), 11. Josh Morris (15. Ryan Mason, 70mins). France 1. Pierrick Cros (16. Benjamin Lecomte, 46mins), 2. Loic Nego (11. Maxime Collin, 46mins) 3. Chris Mavinga, 4. Johan Martial (5. Sebastien Faure, 46mins) 6. Clement Grenier (12. Alexandre Lacazette, 46mins), 7. Antoine Griezmann (14. Timothee Kolodziejczak, 46mins) 8. Gueida Fofana (Capt), 9. Yannis Tafer, 10. Gilles Sunu, 13. Francis Coquelin (15. Enzo Reale, 60mins) 18. Gaetan Bussman (17. Cedric Bakambu, 46mins).